March 5th kicks off Read an eBook Week. It is a time when publishers and authors offer thousands of original eBooks for free and at deep discounts to encourage book lovers around the globe to give eBooks a try. The U.S. Government Bookstore also offers low cost and free eBooks from various government agencies. There’s an amazing and varied collection of titles ranging in subject matter from personal health, military history, to statistical resources that can make you a more informed citizen or help you target economic opportunities. Great information for very little cost and most for free! Visit the U.S. Government Bookstore at bookstore.gpo.gov, to access our extensive array of eBooks. Select the “eBooks” tab and you’ll open hundreds of eBooks for your enjoyment and educational use. Whether you’re a military history buff or want up-to-date IRS information you’ll find information authored by some of America’s most knowledgeable experts in whatever field you choose. And if it’s in an eBook format…there’s a good chance it’s FREE! HOW DO I OBTAIN GOVERNMENT EBOOKS? Whenever I’m commuting on the Metro or waiting in an airport lounge, I often see a deep-sea of eBooks. 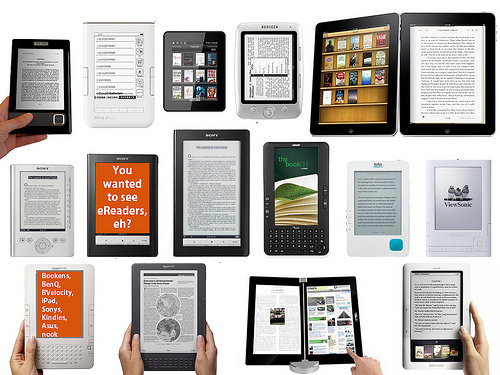 Whether you’re cautious of this technology or you’ve fully embraced it, you have to admit that eBooks are everywhere. Once a trend, now it’s a subculture, promoting digital reading and related technologies. That’s also the aim of Read an eBook Week, the world’s largest annual celebration of eBooks, running March 6 – 12. You may be surprised by how many U.S. Government titles are published as eBooks. GPO, the Federal Government’s publisher, provides those publications through its U.S. Government Bookstore. Readers, I give you three of GPO’s most popular gov e-reads. Get your strength, balance, and flexibility going on the go. This National Institute on Aging at NIH booklet has 13 easy-to-follow, no-excuse exercises. The adaptable routine can help you shape up for higher-level activities. As you feel stronger and discover more energy, it will be easier to keep the momentum going. Fit this booklet in your bag so you can fit a workout routine into your daily life. That’s right—no excuses! Ponzimonium is exactly what it seems—an epidemic of swindling scams. During the 2008 economic downturn, a devastating tide of Ponzi schemes hurled duped people into financial ruin. At the time, investment fraudster Bernard Madoff’s grand-scale scandal came to light while the Commodity Futures Trading Commission (CFTC) pursued scores of similarly detrimental cons. In this eBook, former CFTC Commissioner Bart Chilton shares stories of real investigations. The appended resources identify red flags of fraud, list the investors’ bill of rights, and provide an investor checklist. The glaring caveat is this: don’t become a victim. Remember that time when a team of hundreds of experts and Federal Advisory Committee members spent three years collecting, analyzing, and interpreting research on climate change in the United States? Perhaps not. But their weighty climate science report should give you, and Congress, cause to ponder its counsel. This assessment includes observations on what’s happening now and projections for the century. The widespread impacts of this challenge need rigorous understanding. Policymakers need transparent data to drive their response. And the American public, a decision maker in its own right, deserves to know what is actually happening and what it means for the future. HOW DO I OBTAIN THESE EBOOKS?